The night before her 20-week ultrasound, Elizabeth Rogers had a dream that there was something wrong with her unborn baby’s kidneys. But she soon learned that it wasn’t fine. There were, in fact, complications with his kidneys. One of the options the doctors gave was to terminate the pregnancy. But she and her husband, Greg, had seen him. They’d heard his tiny heart beating. They decided then that they would do anything for their baby. Henry was born in the spring of 2016 with kidney failure and underdeveloped lungs. He spent 127 days in the neonatal intensive care unit (NICU). The road ahead was long. 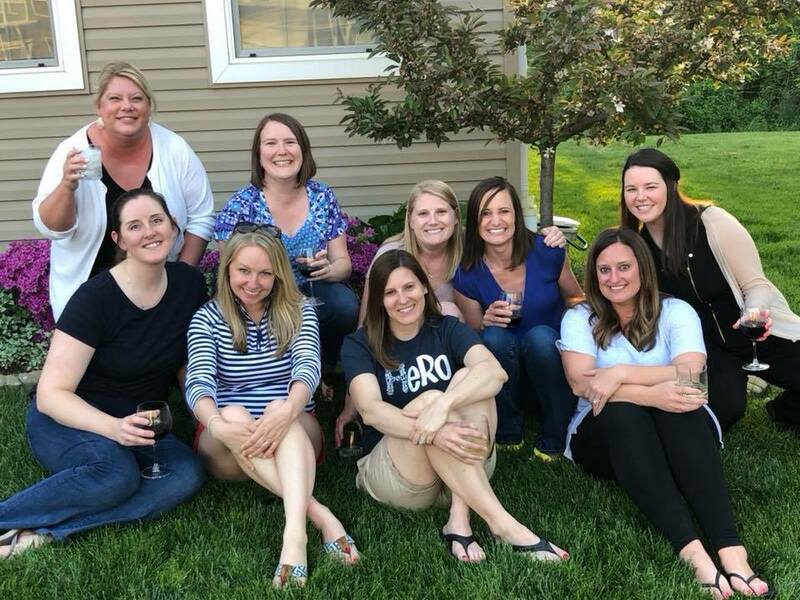 At that same time, Baby Henry’s mom, Elizabeth, and eight other women from a church called Crossroads, most of them strangers who had never crossed paths, had just started meeting weekly as a group in her home. They connected through the Group Tool on the Crossroads website. The Group Tool was simply a way for people to make friends or find community around a topic, neighborhood, or interest. The thing they had in common? Tuesday nights. Amy Miller was one of those strangers. A wife and mom of two boys, this was the first time she had ever joined a small group of women through the church. And she was terrified. So on a Tuesday night in that same spring of 2016, Amy drove to the first meeting. She parked the car, but didn’t get out. She sat there looking up at the unfamiliar house she was about to walk into and prayed. God, let this be your will. They sat down around a table and each woman introduced herself. As they did, each one—each stranger—seemed to be linked to Amy’s life. One had a husband out of work just like hers, another woman’s best friend was fighting cancer, just like Amy’s brother, several were struggling with work/life balance, just like her. Each had a story that Amy immediately related to. It was that first night, around that same kitchen table, when Amy met Elizabeth and learned of her newborn baby. A fragile boy named Henry, who was miles away from their home under around-the-clock care in the NICU. And Amy learned he would need a kidney. “Amy was just like, ‘Oh! I’m the same blood type. I can give mine!’” Elizabeth recalled. After four months, Henry was healthy enough to come home. Their family entered into a new reality centered around his care. Hooked to machines on dialysis for 10 hours every night. All feeding through a G-tube sending nutrition directly into his stomach. Avoiding water in order to prevent infection in his catheter. Little sleep. Constant vomiting. The Rogers always knew Henry would eventually need a working kidney. After he turned a year old, they started the transplant testing process. His dad, Greg, was tested. Not a match. His aunt was tested, too. Not a match. His uncle—nope, not a match. “We tested and exhausted everyone in our family,” Elizabeth said. It was during one of their next Tuesday night women’s groups that Amy felt she still wanted to be tested. “Give me the number,” she said. And she called on her way home that night. The medical process to be approved as a match for transplant was extensive. But so was the much more personal approval from Amy’s family. She started with her kids. Her two little boys. For Amy’s husband, Reed, the conversations were much more complicated. This was her calling. He was processing this possibility much more practically. His wife and the mother of his children would undergo major surgery to give up a kidney? Would she be OK? What would recovery be like? He wasn’t so sure. As Amy got further into the testing process, the stakes got higher. Amy soon got the call. She was approved as a match. The last step was for her to give her final consent. Even through all the months of testing, waiting, and praying, this would be the hardest hurdle to clear. The next Tuesday night, Amy met with her group. These were the women who had been right alongside both her and Elizabeth for the past two years. They had built into each other, encouraged each other, shared so many moments that brought them so close. Once strangers—now like sisters. The weight on Amy as she walked into the house that night was heavy. She knew she needed to talk about what was going on. Her husband was so unsure about her going forward with the transplant. For Amy, it was an answer to those powerful prayers from her group. And the greatest example of love her husband could’ve shown her. He chose to step aside and was giving God all control. There were tears the day Amy told Elizabeth she would officially say “yes” to saving little Henry. It was two years to the day of that fateful 20-week ultrasound. The one where they discovered tragedy, and yet chose to trust. To Amy, that perfectly aligned timing was just one more stamp from God, saying this was his will. A clear answer to that prayer she first said in her car so many Tuesdays ago. “He’s always putting the pieces together. Even if you can’t see it, He just says to trust him,” she told me. Fast forward. The transplant surgeries happened flawlessly. Both Amy and Henry are home and life is slowly returning to normal. A new normal for Henry, that is. Sleeping without being hooked to dialysis machines. Going on long walks after dinner. Dancing in the rain. The little toddler who once was partially wrapped in plastic around the toy water table for fear of infection is now learning how to splash his big sister in the bathtub. Through it all—the dreams, heartbreaks, choices, and struggles—Elizabeth always trusted that God had a plan for her son. One Bible verse has been her strength. When Amy looks at Henry, the little blonde-haired boy with sparkling eyes who now has a piece of her inside of him, she can’t put the feeling into words. She reflects back to the simple prayer she said in her car so many Tuesdays ago. It was a prayer whispered in a moment of fear, before opening the door into a group of women who would soon become like family. And a prayer that now means so much more.